This will be our fourth National Immunization Day (NID) trip to India and our third leading the NID Team from Rotary International Zone 34. I have fallen in love with this magnificent, beautiful country and the people who live there. It is overwhelming when you arrive for the first time and your senses are assaulted by all the different sights, sounds, and smells. 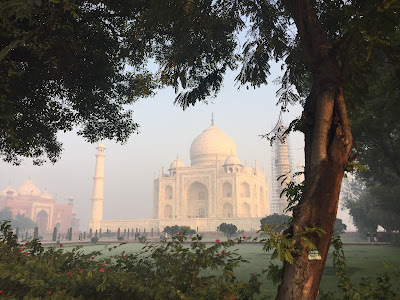 But as you begin to explore and really get to know India and the people who live there, you will soon come to know the “Hospitality of the Heart” of this country as I have. With the help of Rotarians around the world, by the end of 2011, India stood out as a shining example of how to win this war when they saw the last case of polio. 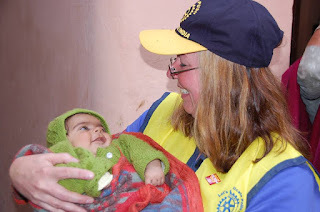 Rotarians also understand that until polio is eradicated from the world, their children and all children are still at risk. They have kept their vigil and shared their knowledge with the countries that are still endemic as they continue to fight on the front lines to END POLIO NOW and forever! As you embark on this journey with us, side by side with local Rotarians and the people of India; working on water and sanitation projects, health and education projects, and of course the reason for our visit…the Polio National Immunization Day, I know that you too will come to love this country and its’ people as much as I do. You will see some of the most amazing and beautiful sites along the way and your heart will never be the same again. Thank-you for joining us as together we make a difference, “Doing Good in the World”. It was pleasure meeting PDG Cynde and all wonderful Rotary Leaders from Zone-34, never felt like stranger, that's the best part of Rotary.Special mention to DG Kim, RIDN David and others.